A page on TigerLocal will showcase your business to hundreds of local people looking for a hair dresser. So you'll get serious enquiries from new customers. We pride ourselves with being able to offer a wide spectrum of services. Not only do we cater for all of the regular hair and beauty requirements but we also specialise in Racoon human hair extensions. At Anne Veck we specialise in cool and funky hairdressing with the hottest colours and head turning cuts for men and women! If you have long hair, we love you and if you want to grow it long we'll help you! Bliss hair design was established in 1997. 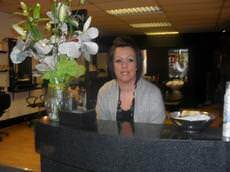 Jo is the salon owner, she trained at Razors Edged & Saks Manchester. The styles created in the salon are imaginative and tailored to suit every individual's requirement. 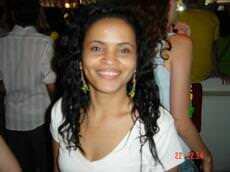 My name is Tatiane Rodak, I have been qualified as a Beauty and Hairdresser 10 years and I love my job! I have numerous qualifications and regularly attend training courses and seminars to keep my skills updated. 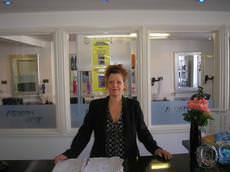 Rosa would like to welcome you to Capello Hair Design where the main priority is to listen to the client and discuss all their needs and to provide information and care. Claire Hair Fashions has been established Since 1968. 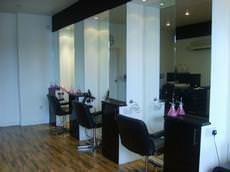 At Claire Hair Fashions we aim to deliver exceptional levels of Hair, Nails and Beauty treatments to our clients. 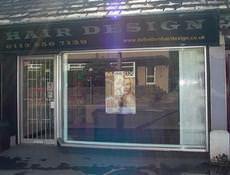 Definition Hair Design In Rawdon offers a relaxed environment along with a friendly and professional atmosphere. We believe that all our clients require an individual approach to ensure perfection in the style we achieve. 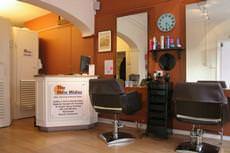 With many years' experience in the Hairdressing industry, Diamond Cut provides hairdressing to customers throughout the local area. 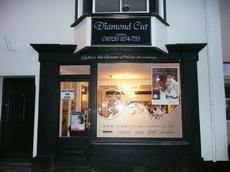 Established in 2010, the business is situated in Chudleigh (Newton Abbot). 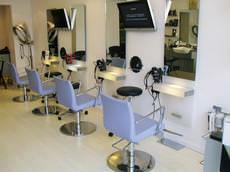 Francesco Picardi Hairdressing provides high quality hairdressing at affordable prices. 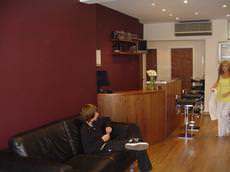 Based in Marylebone High Street, central London, Francesco is a highly regarded, contemporary hairdresser. 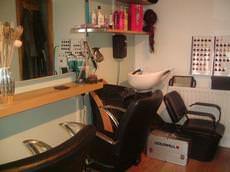 I am a mobile and home based hairdresser covering Totton, New Forest and Waterside Areas. I offer modern and traditional services and techniques to old and new clients. Advanced cutting and colouring, when only the best will do..! My mission is to give you, the client exactly what you are looking for. Obsessions TLC is an Award Winning, Hair, Beauty, Fitness & Safe Tanning Centre. We have a team of qualified & friendly staff who are kept up-to-date with the latest trends and will give expert advice via a free no obligation consultation. Re'Voil is a Premier Wella Salon and offers a stunning array of professional hair services to every client both male and female. 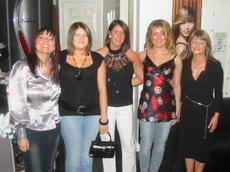 We specialise in hair and colour including highlights, lowlights, tints, treatment and styling. 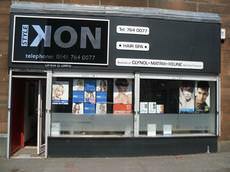 Salon 22 is a unisex hair and beauty salon. We are Tigi Professional and Dermalogica stockists. We offer foil colours, root re-growth colours, cuts, blow dry. We also shampoo and sets for the elderly ladies - even perminent waves. "The only Salon you'll ever need" are not just idle words. We are proud to offer our clients total peace and tranquility whilst being treated, tanned or styled. 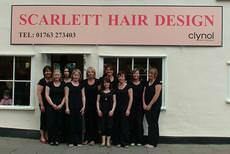 Scarlett Hair Design prides itself in providing a professional friendly & courteous service to its clientele whilst maintaining affordable prices. We believe that the hair comes first and we will never damage hair by using excessive heat or chemicals. We will try to find a balance between the natural and chemical world that leaves the hair at its very best. 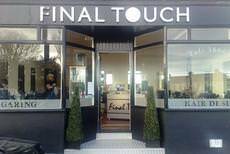 A fabulous affordable east end hairsalon with friendly staff. 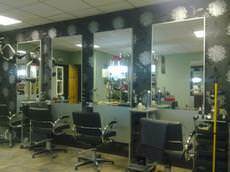 You will always feel part of the salon and you will just want to return. 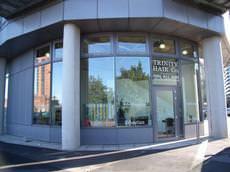 Established for five years we are situated on the Main Rd in Tollcross. 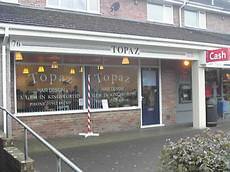 Topaz Kingsworthy is managed by Linda Williams who leads a team of fully qualified staff providing the full range of cuts, colours, treatments and excellent hair preparations, including bridal hair. 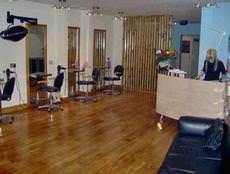 We are a Hair and Beauty salon based in Salford, with a friendly professional team. 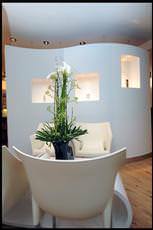 When visiting our salon you will be met by one of our hair stylists or beauty therapists who will be happy to help you. Passionate about hair and customer service. Are you looking for inspiration, rejuvination or a complete transformation? 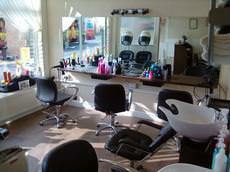 The Vestry Hair Salon in Havant, Hampshire offers you consistent quality and creative energy. Hair extension specialists in European real hair and mono fibre. At VIVA we are able to give you immediate length to your hair, volume and colour. The hair is applied by glueing , bonding, weaving or sewing.